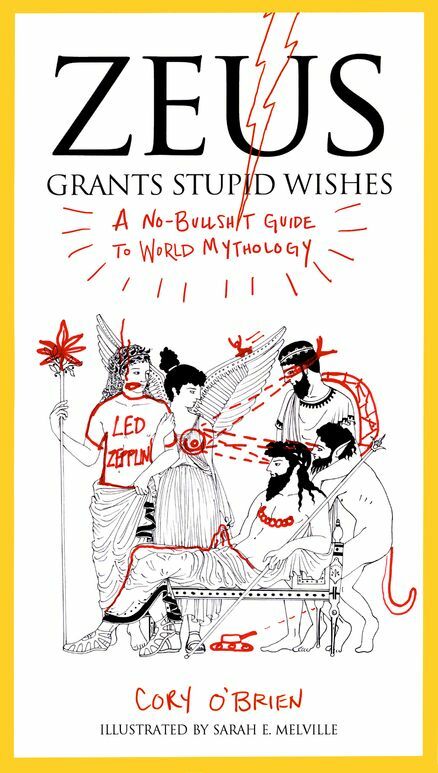 Collecting some of the best articles from Corey O'Brien's website Better Myths, this book does for classical mythology what Drunk History did for... history. I stumbled across this book at my local library and picked it up expecting a quick read. It proved to be that but it also proved to be far funnier than I expected. It also taught me an Anansi myth I'd never heard before, which is always a plus for those who enjoy a good trickster tale as much as I do. There's not much in the book I can review. It's a collection of short stories retold by an author whose style is that of an excitable stoner trying to tell you about something cool his friend did once at three-in-the-morning at IHOP while you're waiting for your thrice-damned hash-browns. So rather than do that, I'm just going to link to three of my favorite stories from the book. If you like it, go read the book. If not, you've lost nothing. Simple, yes?